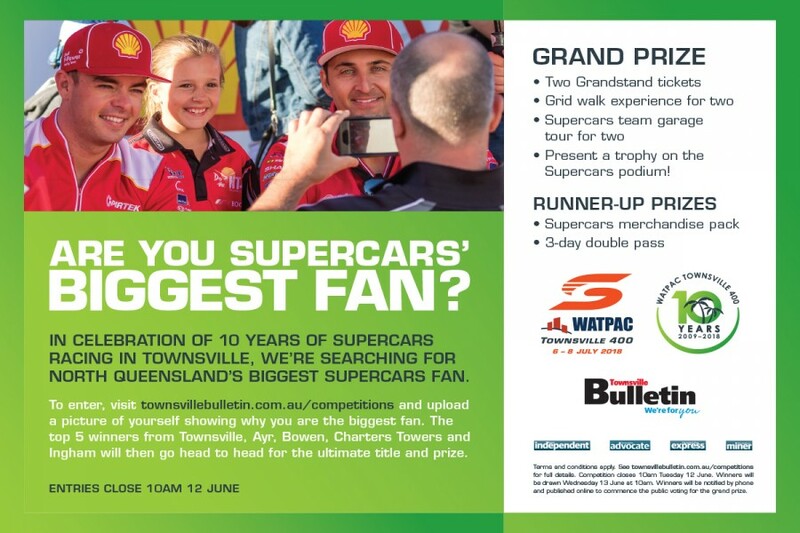 To celebrate 10 years of racing at Reid Park, Supercars is searching for its biggest fan in North Queensland, to present a trophy on the podium at July’s Watpac Townsville 400. 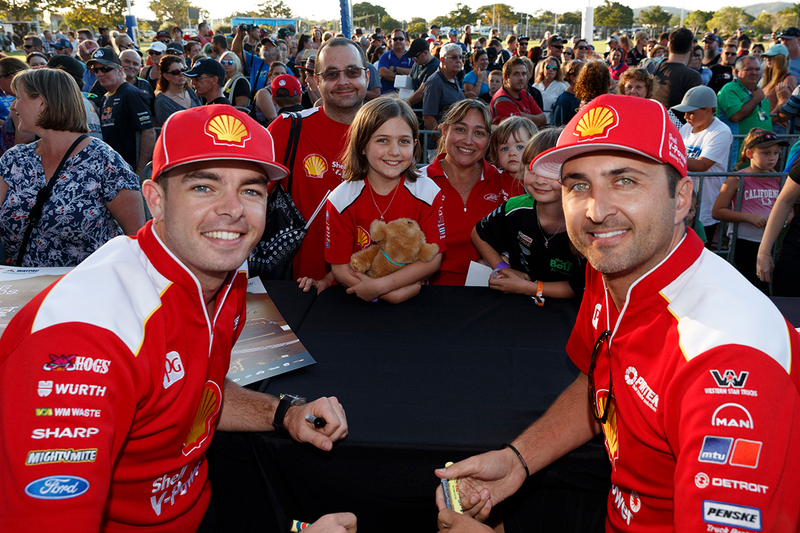 The competition encourages fans to upload a photo of themselves, family and friends decked out in Supercars-supporting gear, with the best selected as finalists. A winner will be selected from the top five entries received before June 12. North Queensland’s Biggest Fan will present a trophy to a Supercars driver on the podium, and receive a tour of team garages for two people, a grid-walk experience and grandstand tickets. The competition is now open to all fans living in Bowen, Ayr, Charters Towers, Townsville and Ingham. More than 1.3 million Supercars fans have passed through the gates at the Watpac Townsville 400 over the past nine years. “We are excited to be celebrating 10 years of Supercars action in Townsville, and we hope we can reward the biggest fans from across the region,” Supercars Chief Operating Officer, Shane Howard, said. Fan can enter through www.townsvillebulletin.com.au/competitions before 12 June, with voting then opening to find the overall Biggest Fan in North Queensland from five regional winners. The largest annual sporting and entertainment event in North Queensland, the Watpac Townsville 400 is this year celebrating its 10th anniversary of racing at Reid Park. The fan-favourite Touring Car Masters is on the bill for the first time, along with the ECB SuperUtes Series, Dunlop Super2 Series and Toyota 86 Racing Series. Off-track, the event will feature two huge nights of performances under the big top at Reid Park. Aussie Rock Royalty the Hoodoo Gurus and Baby Animals will perform on Friday night, followed by John Farnham and Daryl Braithwaite on the Saturday evening. The 2018 Watpac Townsville 400 is proudly supported by the Queensland Government through Tourism and Events Queensland and Townsville City Council as part of the It’s Live! in Queensland events calendar.